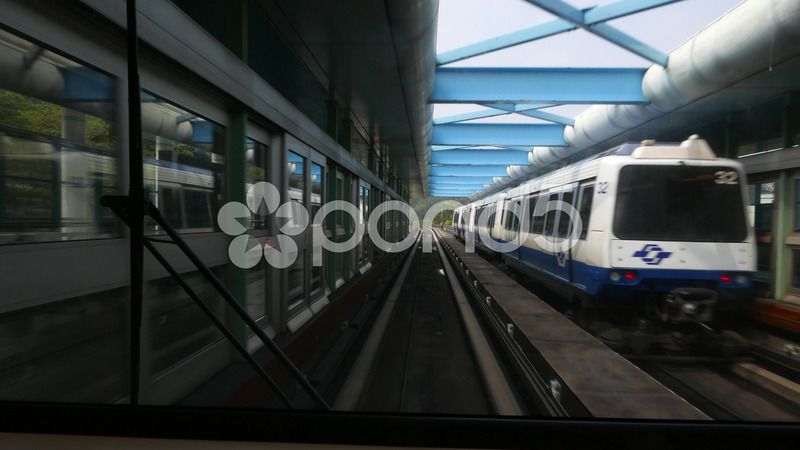 Description: Departing from the station, Taipei Rapid Transit System metro, rear window view. Overground station, other train standing on the station in opposite direction. Train accelerates and drive away from the station to outdoor railway line.